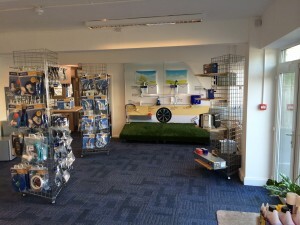 As we continue to expand our offerings we have parked up the Whale Exhibition caravan in our showroom. This neat little display unit demonstrates how all the Whale taps, pumps and water fittings interact together in your vehicle as well as the Water and Blown air Heater. As they say ‘A picture paints a thousand words’ and so a flat caravan paints….. hmmm.